During WWDC 2013, Apple announced an API for third-party MFi game controllers to make the revamped Game Center more attractive for third-party developers. Logitech, one of the premiere gaming accessory makers, was quick to jump on the opportunity: a couple days after the announcement the first image of a game controller was leaked by Kotaku. 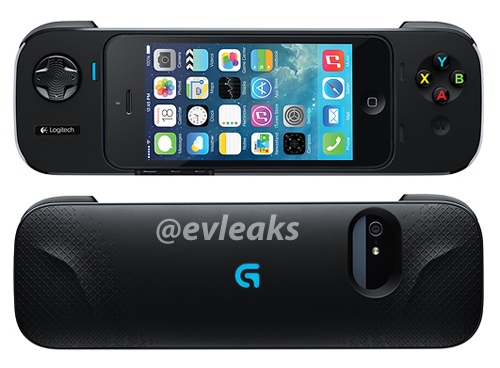 Today Evleaks has shared a juicy image via Twitter, showing a a press shot of the Logitech MFi gamepad for iPhone. 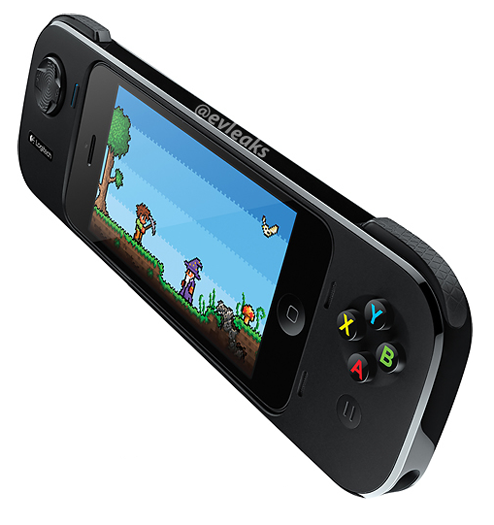 As you can see from the above image, the gamepad designed for iPhone looks pretty much like you would expect, by keeping the typical game controller feel and incorporating four buttons (X, A, B, and Y) and a joystick directional pad (d-pad) as well. The controller leaked in the above image is an enclosure model, we can expect that for other models as well, which will not required an attachment on an iDevice to function. Although no pricing or release information was leaked, we can expect the MFi game controller to hit the market soon.